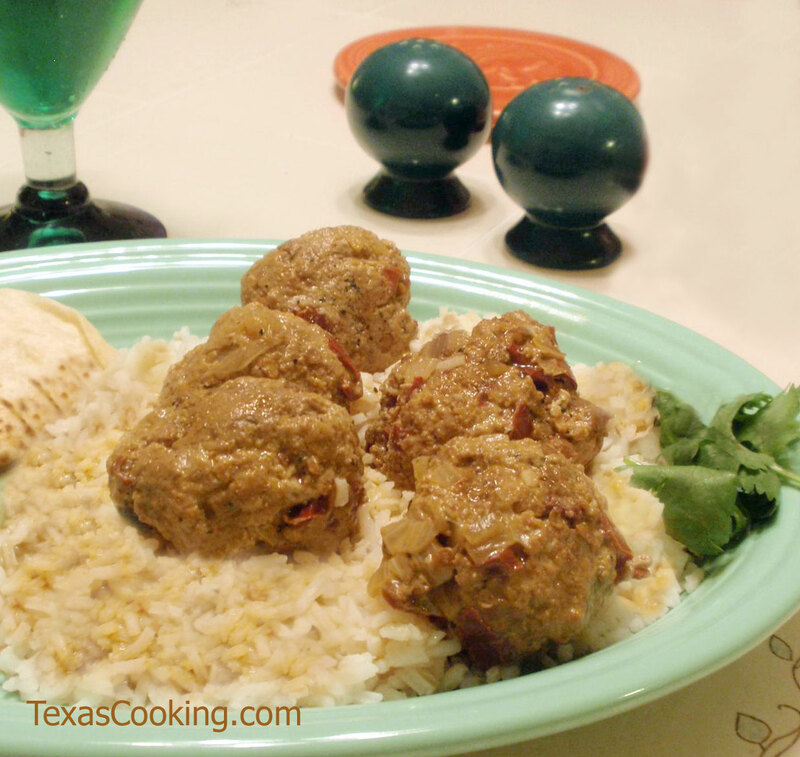 Although albóndigas (Mexican meatballs) are usually served in soup, they make a nice appetizer or main dish, too. Combine the ground pork with the onion, garlic, chiles, coriander, pepper, oregano, chili powder and salt, mixing well. Beat the Masa Harina into the egg until well incorporated. Then pour egg mixture over meat mixture and combine well. Form the meat mixture into 1-inch balls. Bring the chicken broth to a boil in a Dutch oven or stockpot. Gently lower the meatballs into the broth and bring to a simmer. Simmer for 15 to 20 minutes. Garnish individual servings with chopped fresh cilantro. Form the meat mixture into 2-inch balls. In a large skillet, fry the meatballs in 2 tablespoons corn oil, turning until browned on all sides. Remove meatballs from skillet and drain on paper towels. Drain grease from skillet. Return meatballs to skillet, add chili gravy, and simmer briefly until heated through.